The low down on heart rate variability. A critical component of Beyond Health’s new proprietary service the MoRe Method is the analysis of heart rate variability using Firstbeat technology. It is widely understood that heart rate measures beats per minute and that generally a low heart rate indicates rest, while a high heart rate corresponds with exercise or exertion. Heart rate variability however is not so widely understood. Heart rate variability measures the specific changes in time (or variability) between successive heart beats. Generally, a low heart rate variability (or less variability in the heart beats) indicates that the body is under stress from exercise, psychological events, or other internal or external stressors. Higher heart rate variability (or greater variability between heart beats) indicates that the body has a strong ability to tolerate stress or is strongly recovering from prior accumulated stress. When at rest, a high heart rate variability is generally favourable and a low heart rate variability is unfavourable. When in an active state, a lower relative heart rate variability is generally favourable and a high heart rate variability can be unfavourable. When specific calculations and analysis methods are applied to heart rate variability, the autonomic nervous system can be precisely measured. The autonomic nervous system is tied to every automatic process in the body and comprises of two main branches that control the body’s stress and recovery processes. It regulates blood sugar, body temperature, blood pressure, sweat, digestion, and much more. Since the autonomic nervous system ties to so many biological systems and processes, heart rate variability also links cardiovascular activity to the respiratory system, digestive system, and other recovery and stress related systems. Using heart rate variability to gain an understanding of the state of your autonomic nervous system at any given moment is a huge advantage when tackling specific goals, identifying obstacles, or measuring progress. By tracking and interpreting your heart rate variability our expertly trained team of physiotherapists can make meaningful recommendations to your lifestyle to increase the size of your battery and the quality of its charge! Today’s market is inundated with countless self-quantifying metrics, wearables, and apps that promise to change the way we approach health and fitness. Beyond Health is the only physiotherapy group and one of only a handful of providers in the United Kingdom qualified to use Firstbeat. We are so thrilled to have access to this scientifically robust quality technology that is not restricted to the elite sports world and can be used to really improve our client’s lives. 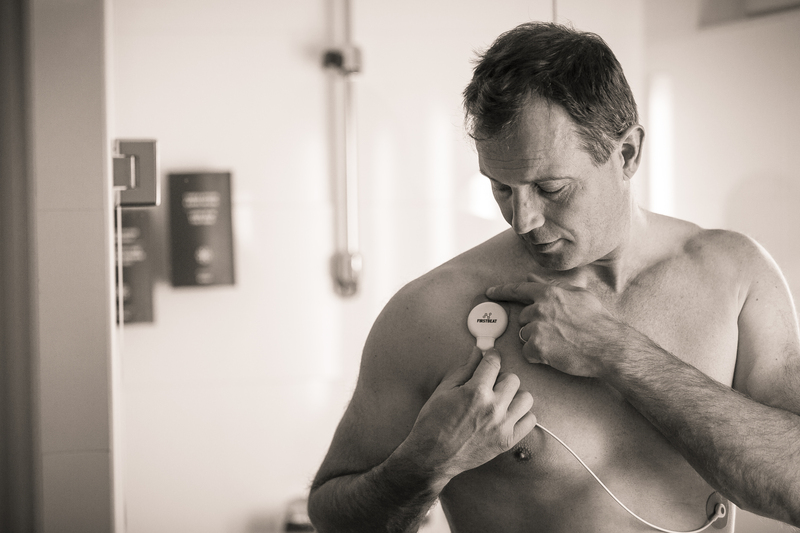 Want to know more about heart rate variability or the MoRe Method? Contact our team to discuss today.